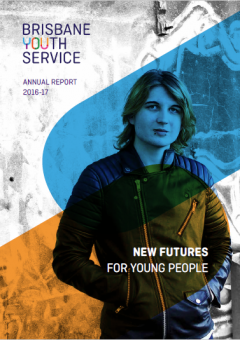 This paper shares key learning emerging from youth consultation research into how young people accessing crisis services understand wellbeing and view the potential use of online tools for both therapeutic benefit and to enhance connection to support. While many see ‘feeding the corporate agenda’ as an ineffective use of resources and a diversion of funding from service delivery, if done effectively, good governance, strategic leadership and an effective corporate business model increases an organisation’s ability to not only do more to assist the vulnerable, but also to deliver services in the most effective way. 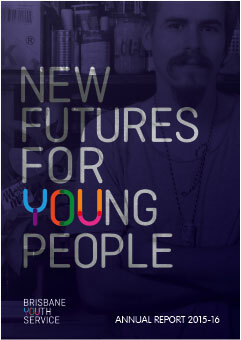 How can we better sustain the tenancies of young people living in social housing? This was the question posed by Brisbane Youth Service (BYS), and social housing providers from the Under 1 Roof consortium in 2015. Housing providers were clear that there was a gap in the service system regarding support for young tenants in social housing. Recent surveys of young Australians show more young people couch surfing than ever before, although not all classified themselves as homeless. Envisioning couch surfing as a form of extended sleep-over with a friend has contributed to the perception that couch surfing is a secondary and potentially less concerning form of homelessness; or not even a form of young homelessness at all. Innovative mental health approaches are needed to increase access to services that are timely, appropriate, youth-friendly, affordable, and support meaningful recovery. 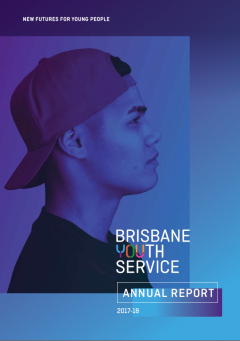 Improving young people’s engagement with, and pathways through, the homelessness service systems is a priority for the Queensland youth and homelessness sectors. Is there ever truly an ethical way of presenting someone’s suffering and misfortunes? When speaking for others, sharing and ‘benefiting’ from someone’s own words, what ethical guideposts should we navigate by? 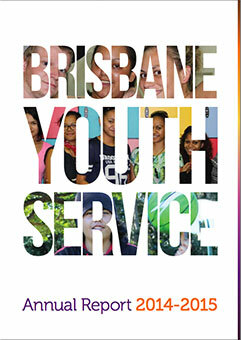 In response to a lack of safe spaces for young women to both connect and access supports, Brisbane Youth Service Centre for Young Women has developed a unique group program open to women aged 12 to 25 years who have had an experience of homelessness. With the goal of creating a ‘community of intent’ this model draws from perspectives, frameworks and approaches such as community cultural development, intersectionality and truma-informed practice. A large proportion of the work in a residential supported accommodation program, is working with young people to get them ready to live independently. The young people have spent varying amounts of time in different stages of homelessness and many have a history of trauma, abuse, neglect, mental health issues (either theirs or their parents’), substance use (theirs or their parents’), etc. As we cater for young people of all genders between 15 and 18 years, there are different levels of emotional/mental maturity, communication skills, intellectual abilities etc. Having to meet new people, make friends and integrate into an unfamiliar living environment can be quite a daunting prospect for some young people. While considerable attention has been paid to domestic violence (DV) as a primary cause of homelessness, there has been a historic lack of discourse and awareness across community service systems about the intersectionality of intimate partner violence and homelessness. The commonly used term ‘domestic violence’ defines intimate partner violence by its occurrence within a ‘home’ context, rather than situating it within interpersonal relationships, whereas the term ‘Intimate Partner Violence’ (IPV) is arguably more inclusive of violent experiences that occur outside of the domestic space.